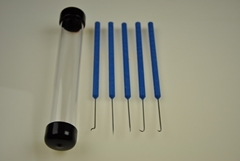 The o'ring picks utilize a stainless steel probe molded into a plastic handle. 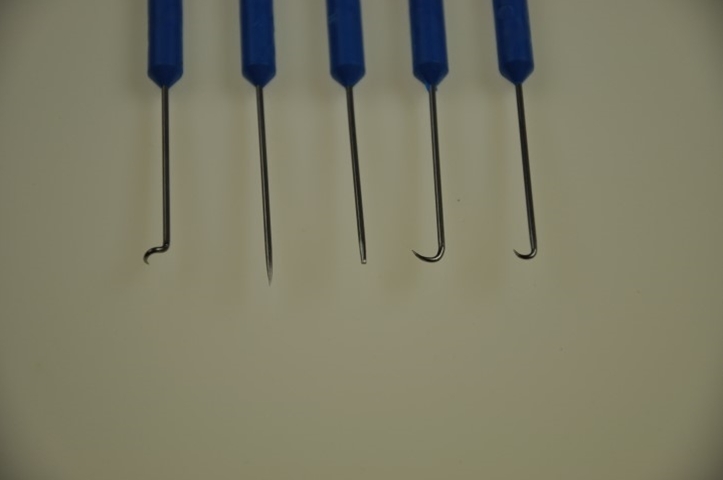 The pick ends have been formed into several useful shapes for removing o' rings efficiently. 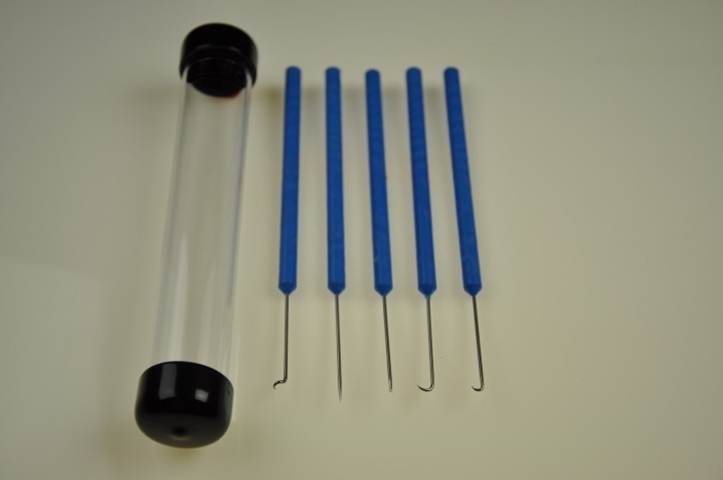 The full set of 5 picks is sold in a usable storage tube with removable plastic caps. Caution: these picks are very sharp, use care when handling and using these picks. Indispensable tools on my repair bench. I use them daily. The caution in the description is right - these are VERY sharp!